Let’s put this into hard numbers. If an average person works out 5 days a week and does 1 hour of moderate exercise a day on an elliptical, at an average of 625 calories burned per hour, he will burn 3125 calories a week. In comparison, if that same person did the same level of exercise, for the same amount of time on the Arc Trainer he will burn 3625 calories. That’s 500 more calories for the SAME time, SAME effort and SAME perceived exertion. All they did was use the Arc Trainer instead of an elliptical. After one year the Arc Trainer user would burn 26,000 more calories than the elliptical user…the equivalent of over 7 pounds of fat! (1 pound of fat equals 3500 calories). So let me ask you again…16%? Does that really matter? For more information about the research that supports this statement, please visit us at http://www.arctrainer.com/. 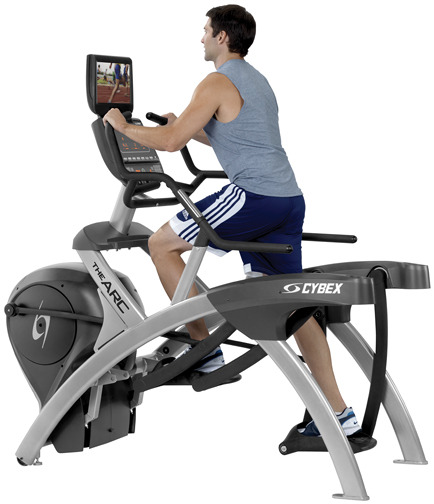 If you’d like to get a quote on an Arc Trainer for your fitness facility or home, please contact us at sales@cybexintl.com. I have the ARC 625A and I don't know which workout program to use. My goal for the first 2 months is to burn fat (lose weight), then build muscle/strength as I have a very weak lower body. Please let me know which workout program and level I should chose based on my goals.